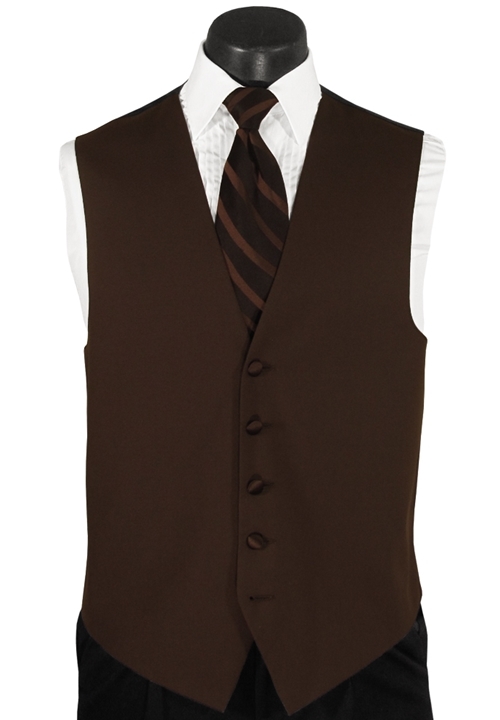 The Mahogany Summit Fullback Vest by After Six is a simple, formal fixture. It is designed to compliment its coat counterpart, The Mahogany (Brown) Summit Tuxedo Coat. This vest is sure to complete your formal ensemble with classic style!